Lead Guitar Lessons - Licks. Free Lead Guitar Lessons! Learn to play lead guitar by playing these classic licks. Almost every guitarist starts off by learing to play cover songs. The first lead guitar lick in "Back In Black" by ACDC. The hardest part of this lick is when you have to bend up a whole step on the 2nd fret. Make sure to use a few fingers to help with this bend. 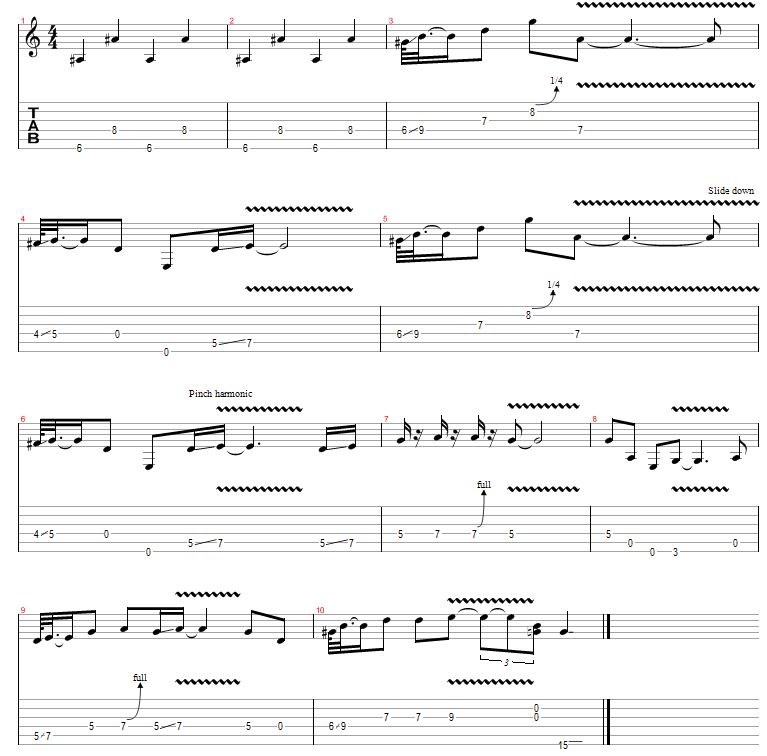 Check out more lead guitar licks like this at the free ACDC Guitar Lick page. Now try this lead guitar lick "Walk This Way" by Aerosmith. This is a fairly easy lead guitar lick to play and most everyone will recogonize it. Check out more lead guitar licks like this at the free Aerosmith Guitar Lick page. This is one of my favorite lead guitar licks "Purple Haze" by Jimi Hendrix. Again this is a fairly easy lead guitar lick to play and most everyone will recogonize it. Check out more lead guitar licks like this at the free Jimi Hendrix Guitar Lick page.